Supply Chain Consulting: The Expertise you need to improve your Supply Chain. Supply Chain Consulting: Use your supply chain to gain a competitive advantage. Your opportunity to improve your supply chain involves everything from managing your transportation spend to having the right inventory system for your warehouse to employing TMS technology. We can help you replace reacting to the market with a proactive approach. 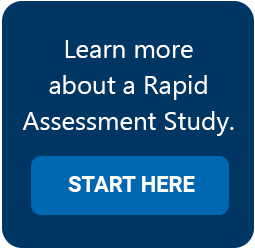 Start with a TranzAct Rapid Assessment to better understand your transportation spend, and finish with a road map to sustained return on investment. We can guide you to a place where transportation is seen not as a cost, but an opportunity for sustained savings in your supply chain. In this rapidly changing world, inefficient supply chains can have a disproportionate impact on the profitability of your business. If your competitors are proactively addressing these transportation issues while your company is forced to react to events, you can be at a significant competitive disadvantage. Take advantage of TranzAct’s transportation industry-leading network, tools, and expertise to obtain the best pricing, change processes to drive those prices throughout the organization, and build in supply chain best practices to deliver sustained ROI.